When in the course of road trip events it becomes necessary to take a day or two off the road, one can take the time to really explore an area. 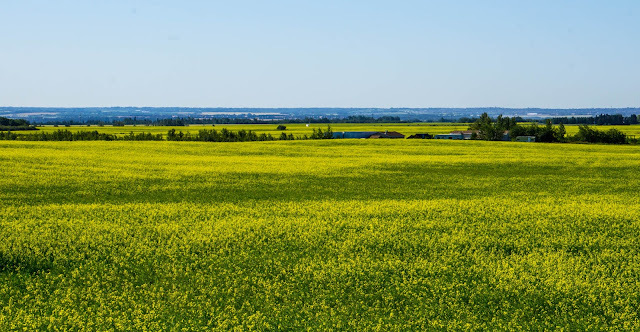 In our case, having a day without travel, and staying at Elk Island National Park in Alberta, that exploration will take the form of geocaching, and the area will be Bon Accord, a very small town just north of Alberta. By small, I am not kidding. It is basically big enough to support a hockey rink and an Irish pub, and not much else. 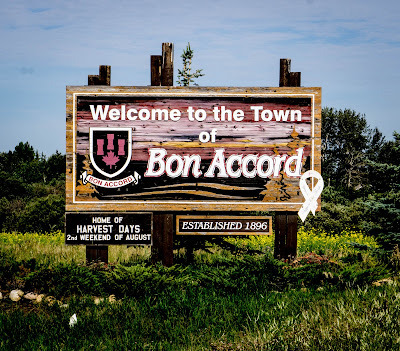 Bon Accord has a bunch of geocaches placed by the town. A lot of these caches are unique and interesting. It also has what they claim is the largest travel bug in the world (more on that later). 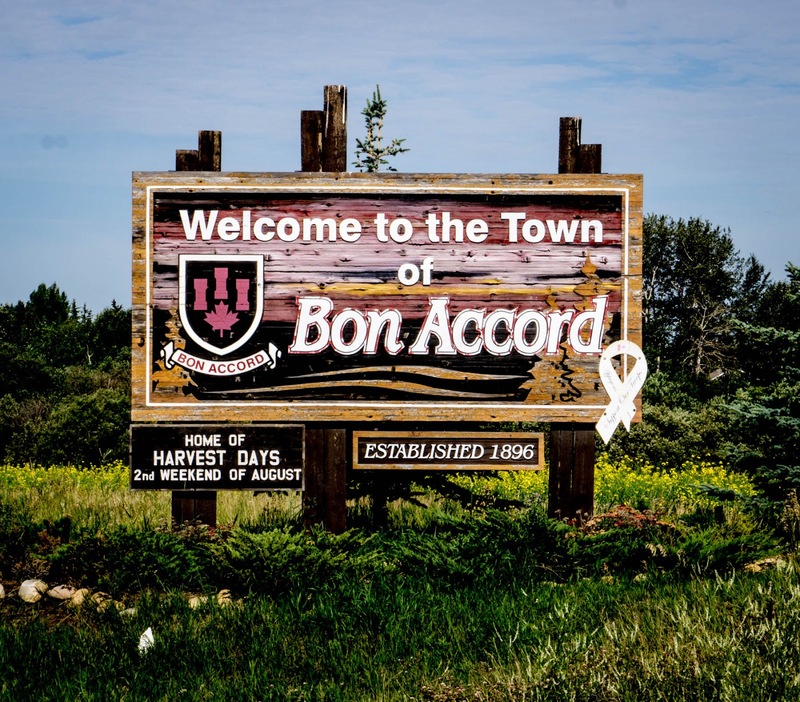 Bon Accord is about 40 minutes away from Elk Island National Park through some of the beautiful and active Albertan countryside. 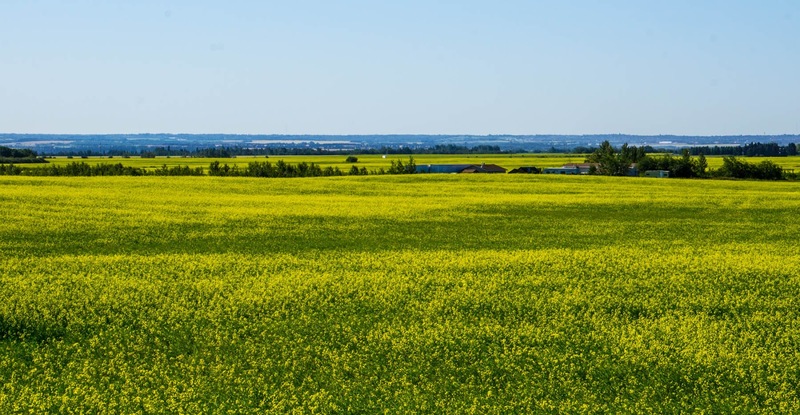 Along the way I stopped to take a photo of the wide sweeping canola fields. However to get to those fields, I had to dodge a road full of big rigs. 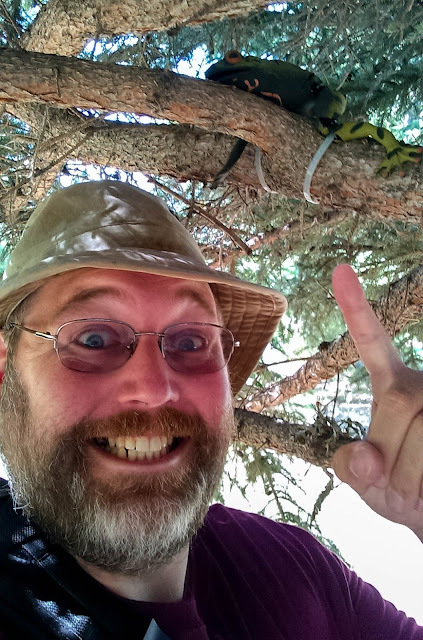 Once we hit the town we started finding geocaches. They certainly lived up to reputation, and all of them were unique and interesting. An example is this micro hidden in a frog in a tree (I don't mind showing this one as it is now archived). Oh, about that travel bug. 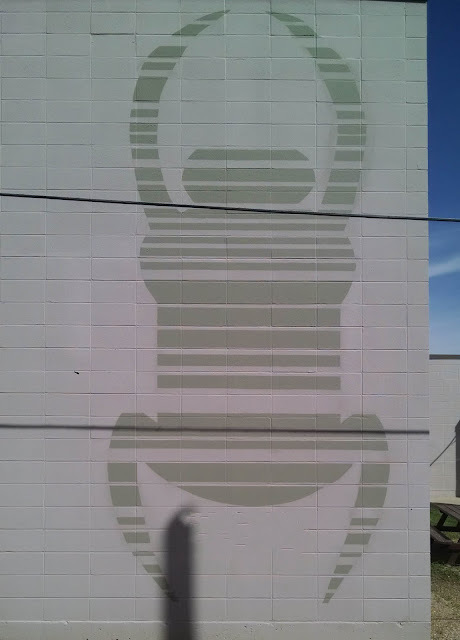 It is written on the back of a two storey building that houses both the town library and the fire department. They claim that it is the worlds largest travel bug, but I already found another travel bug that claimed to be the largest on this trip, just north of Sault Ste. Marie. I suppose it depends on how you define the bug. This one is definitely a larger image of the barcode bug. The other was an accurate model of the traditional dog tag, just 33x larger. This one was attached to a small library and fire house, but the other was attached to a whole hockey rink. 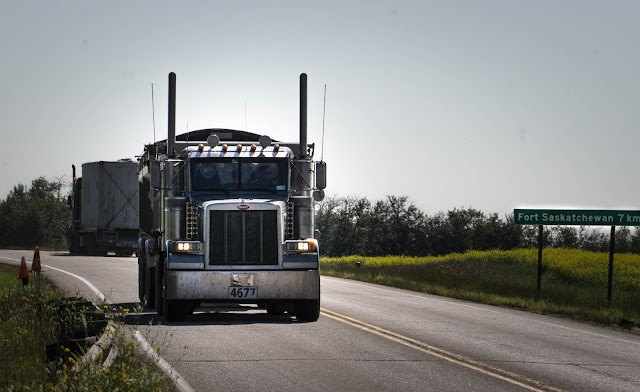 Once we finished with Bon Accord, we headed back to Elk Island to get some rest, and meet up with some Scavengers, including the two we've been traveling with, and the original Scavenger herself. Stay tuned for more from Elk Island and the beauty and wonder that is Elk Island.